September was a strange old month with Google making a series of changes to their algorithm and it meant an extremely busy time for SEO companies like us! At the beginning of September we witnessed significant changes with search engine results. Fortunately for our clients they were mainly positive. Forums have been full of SEO’s reporting that websites have been hit hard. The latest changes have been named the Possum Update. 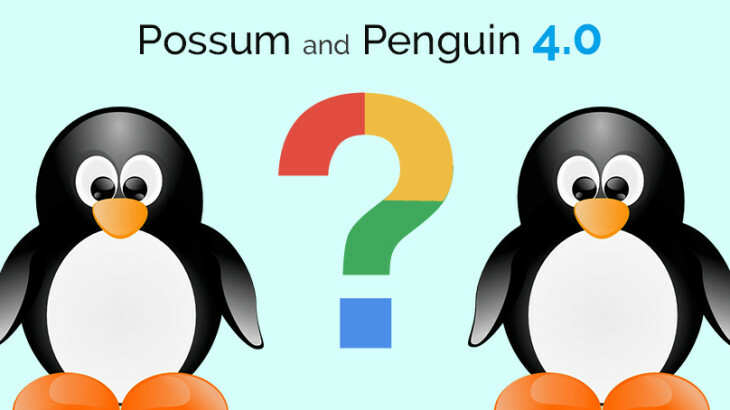 Another significant announcement has been that Google are beginning to roll out the latest Penguin algorithm update which is Penguin 4.0 – It was an official announcement from Google on their Webmaster Blog. Do you believe that your site has suffered following these updates? We are here to help so please feel free to get in touch and we can run a free no obligation website review which takes into account all the latest Google algorithm changes.